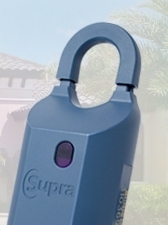 If you are a “primary” member of LYVAR, and wish to have a Supra Key issued, please use this “Agent SuperKey/KeyBox Agreement”. The attached “addendum” is for cooperating keybox privileges with the Yakima Association & MLS keybox system. Bring completed forms to the MLS office along with payment. If you are a “primary” member of Yakima Association & MLS, and wish to have “cooperating” keybox privileges with the Lower Yakima Valley MLS, please use this MLS Cooperating Key Agreement. Fax or email the completed forms to LYV MLS. 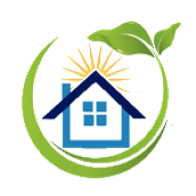 If you are an Appraiser member of the Yakima Realtor® Association and wish to have “cooperating” keybox privileges with the Lower Yakima Valley Association, please use this Appraiser Supra Key/Key Box Agreement. Email or Fax the completed forms to LYVAR. If you are a REALTOR® Appraiser member with the Tri-City Association, a reciprocal agreement is no longer required. Your KEY should work automatically. PLEASE NOTE: THE FORMS IN THE LINKS ABOVE MAY NOT CONTAIN CURRENT EMAIL INFORMATION. OUR FORMS ARE IN THE PROCESS OF BEING UPDATED. PLEASE USE THE EMAIL ADDRESSES POSTED AT THE TOP OF THIS PAGE. THANK YOU.